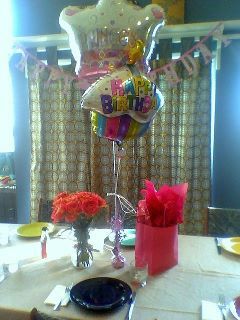 It was Hayley’s 20th birthday last weekend. So, we braved the avalanches threatening Snoqualmie Pass and headed over the mountains to visit Tyler and Lexi and Hayley and Spencer, to celebrate. Hayley and Spencer drove over from Pullman and had a much nicer drive than we did. Ours looked like this. 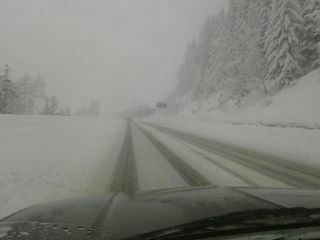 In fact, we barely made it through; they closed the pass right after we crossed, for avalanche control. Whew! Ironically, just four short weeks ago we did the same thing for Tyler’s birthday: We braved the pass and met up with Tyler and Lexi and Lexi’s family in Roslyn, WA, which is half-way between their house and ours. 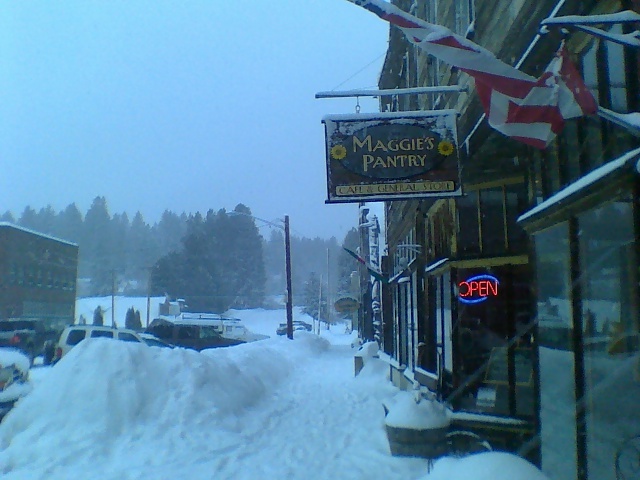 And I kid you not, there was at least four feet of snow. Heather, five and half months pregnant, was not anticipating the snow and was wearing a raincoat and suede boots with heels. Back to Hayley’s birthday. 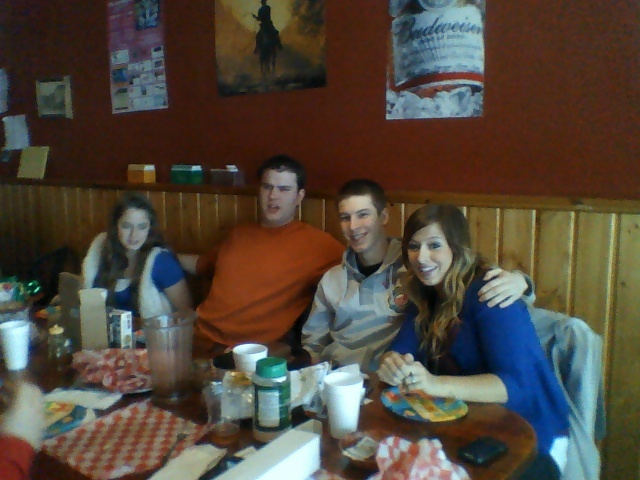 First thing on the celebratory schedule was birthday breakfast. Bacon, eggs, and BIG HUGE FLUFFY Belgian waffles. As for birthday activities, Hayley has come a long way from princess parties. This is not particularly how I would like to spend my birthday. 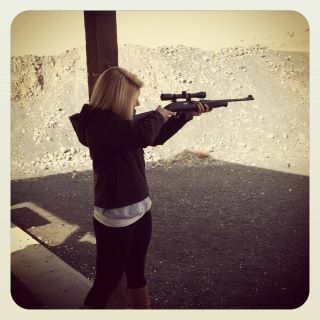 But it was what Hayley wanted to do: shoot her brother’s guns! So she and her Dad and Tyler and Spencer went and did that, and Lexi and I stayed home and planned a baby shower. 1. 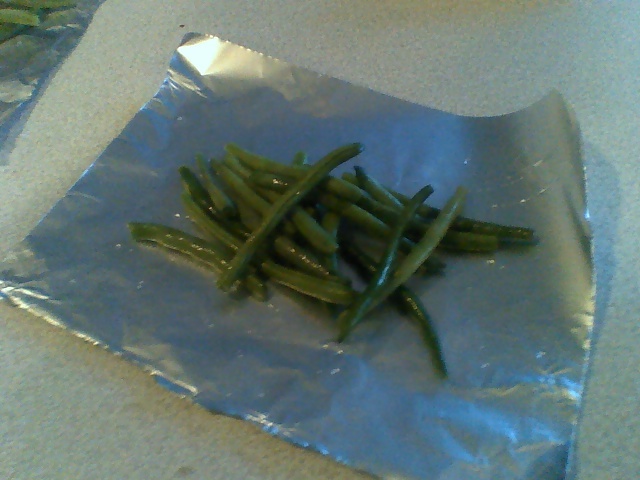 Start with a pile of green beans on a square of aluminum foil. Salt and pepper them. 3. 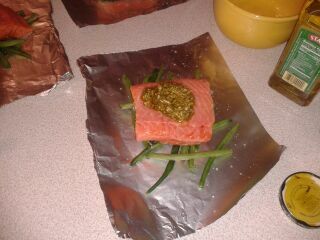 Place a dollop of pesto on top of the salmon. Get Mom in the photo, just for the photo record. Mom is not in many family photos. She is usually on the other side of the camera. 4. To ensure quality control, bring in an inspector to approve the generosity of the pesto dollops. Very important. Hayley makes sure I get enough on each one. 4. 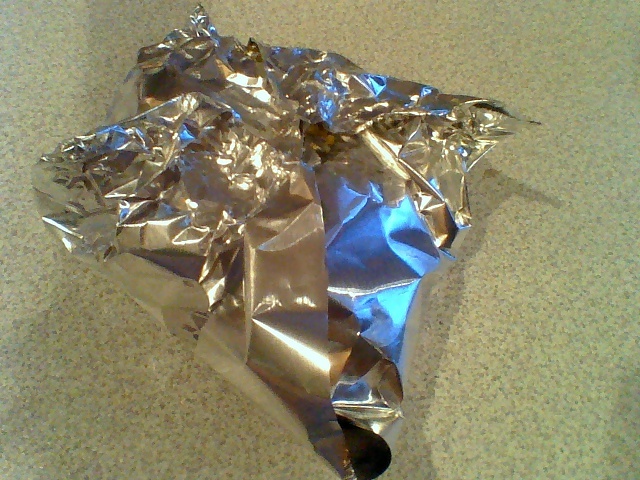 Fold in the corners of the foil to make a packet. 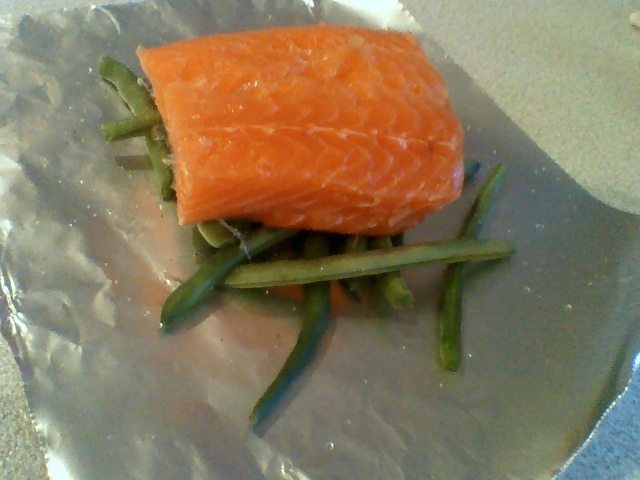 Place on a baking sheet and bake at 350 degrees for around 30 minutes. 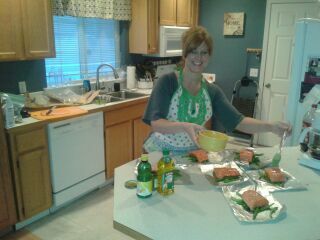 (Some of the larger pieces of salmon needed an extra five minutes.) Unwrap, slip onto a plate, and serve with white rice. Num! No wonder Hayley loved it. (Claire made it for me when I was in the U.K. in November and I loved it, too.) Super easy. Finally, the birthday cake. Or, in this case, CAKES, plural. 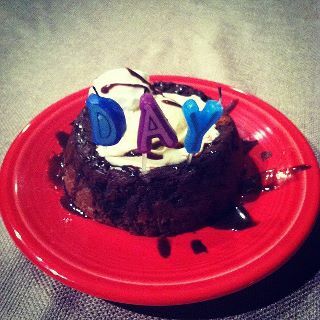 Lexi made Molten Lava (chocolate) cakes in little ramekins, served hot with vanilla ice cream. AMAZING. 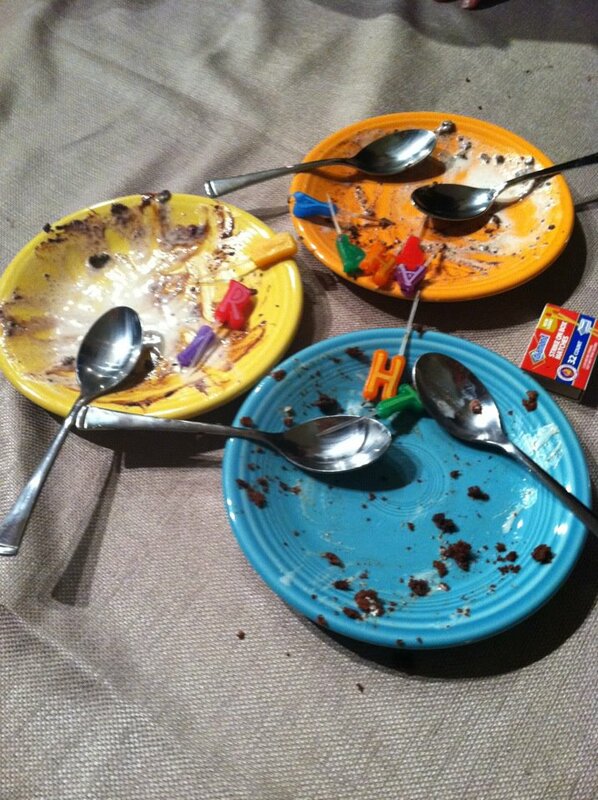 We licked the platter(s) clean. Pretty much. Who said kids’ birthdays parties got easier the older they get? 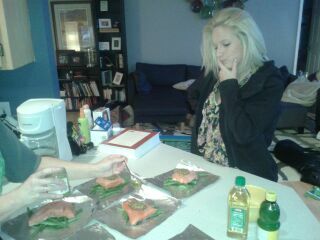 Did you try the salmon and pesto together? We love it. Let us know if you improved on it!